Whole Fruits, or Big Pieces of fruits (Depending on kind) Preserved in Heavy Syrup (74 % brix) retaining all their natural aroma. 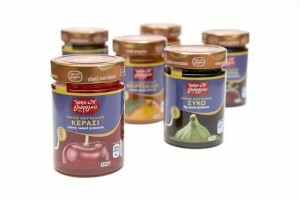 To be consumed as they ‘re….. as a topping on ice-cream/frozen yogurt… mixed with Greek style yogurt… on top of cakes…! !